“Foust Forward” appears in every issue of SpaceNews magazine. This column ran in the March 26, 2018 issue. When Congress released the text of the omnibus spending bill for fiscal year 2018 on the evening of March 21, providing NASA with more than $20.7 billion, some hailed language in the bill that gives NASA’s Wide Field Infrared Survey Telescope (WFIRST) $150 million. They saw it as a rejection of the administration’s proposal earlier this year to cancel the mission. There’s just one problem: the proposal to cancel WFIRST was in the administration’s 2019 budget request, released in February, and not in the 2018 proposal, which requested $126.6 million for the mission. Plans to cancel the multibillion-dollar space telescope are still alive, at least on paper. That confusion is understandable. The 2018 budget proposal sought to close NASA’s education office and cancel five Earth science missions, but appropriators reversed those plans, funding the office and four of the missions. (The fifth, the Radiation Budget Instrument, or RBI, had already been terminated by NASA for what the agency said were technical and programmatic, not budgetary, reasons.) But the administration’s 2019 budget request, perhaps anticipating that reversal, repeated cuts to education and the same five Earth science missions — even the already-canceled RBI. Last fall, NASA officials said they were considering including a request for a second mobile launch platform for the Space Launch System in its 2019 budget proposal, citing its potential to help shorten the gap between the first two SLS launches. However, that didn’t make it into the final proposal, with agency officials blaming the cuts on “various priorities” needing funding. And yet, the final 2018 omnibus bill included $350 million for that second mobile launch platform, even though it hadn’t been included in the previous versions of 2018 appropriations bills. “This is fantastic news,” said Sen. Bill Nelson (D-Fla.) in a statement after the release of the omnibus, noting it would support hundreds of jobs at the Kennedy Space Center. With the 2018 omnibus bill now essentially complete (although, as of press time, there was a last-minute veto threat from President Trump regarding border wall funding), attention can turn to the 2019 proposal. Plans to cancel Earth science missions and close NASA’s education office seem to have no greater odds of success this time around than in 2018. But what about WFIRST? But, if appropriators can find $350 million for a second mobile launch platform in 2018, one can imagine them keeping WFIRST going in 2019: the agency’s 2018 budget proposal projected spending about $300 million on WFIRST in 2019. Appropriators offered a hint of what they thought about the proposal to cancel WFIRST in the 2018 omnibus bill. “The agreement reiterates the importance of the decadal survey process and rejects the cancellation of scientific priorities recommended by the National Academy of Sciences decadal survey process,” the bill’s accompanying report states. 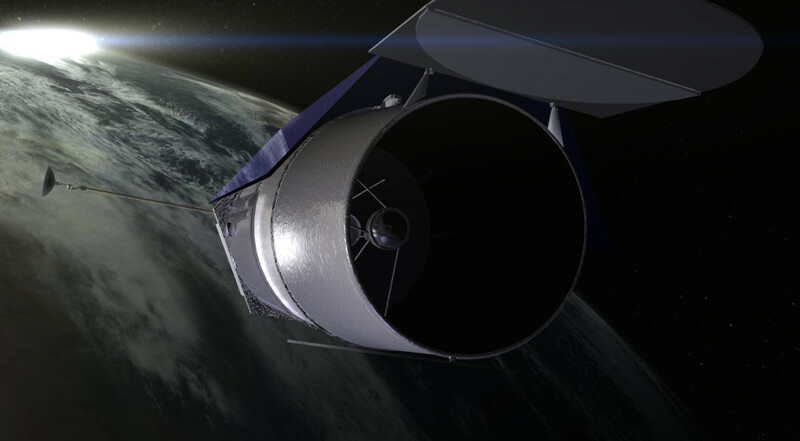 WFIRST is the top-ranked flagship mission in the most recent astrophysics decadal survey. An even bigger accomplishment for appropriators in the next year might be to complete their 2019 spending bills before the release of the 2020 budget proposal and eliminate at least one source of confusion.